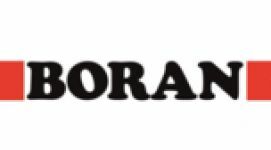 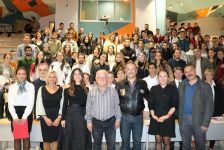 Vocational School of Izmir University of Economics (IUE) welcomed Murat Keleş, Founding Pilot of SOLOTURK (F16 Demo Team). 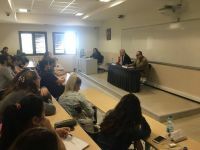 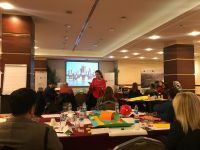 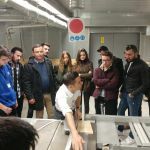 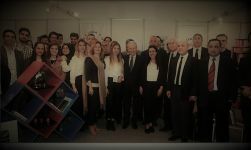 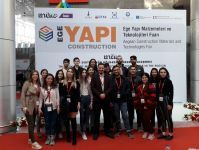 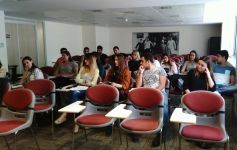 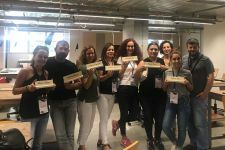 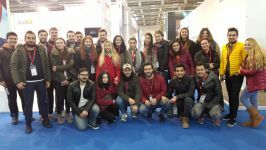 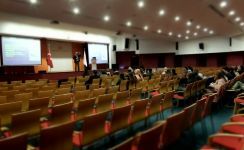 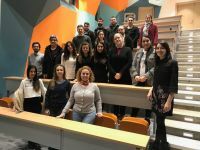 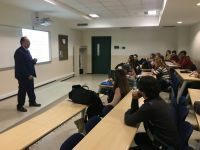 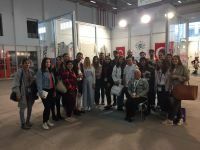 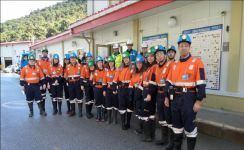 IUE Vocational School Civil Aviation Cabin Services and Civil Aviation Transportation Management Programs hosted Mr. Murat Keleş as part of the “Çıraklar Ustalara Soruyor (Apprentices Asking Masters)” event. 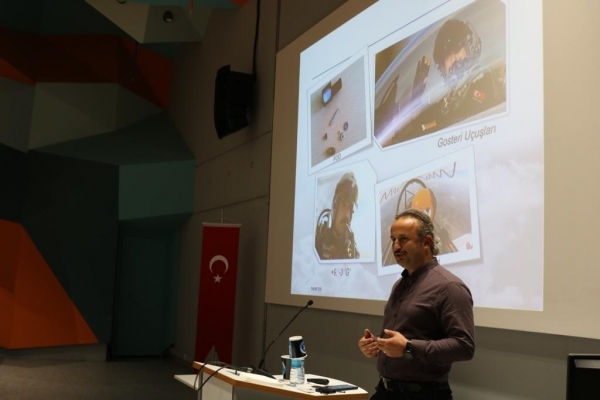 Murat Keleş, who is considered a national pride and made the national and international headlines with his demonstrations, is the founder of SOLOTURK F16 Demo Team and the first demonstration pilot. 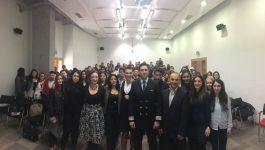 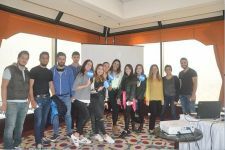 Before the event started, Mr. Keleş came together with senior students for coffee and answered their questions about piloting. 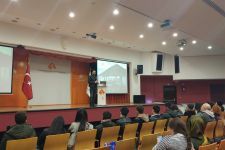 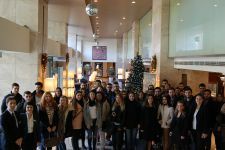 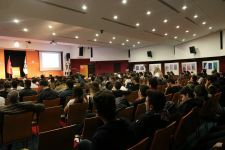 When the event started, the room was filled with crowd of not only interested IUE students, but also students of aviation high schools, whom we regard as the future aviators. 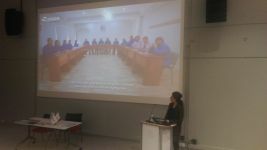 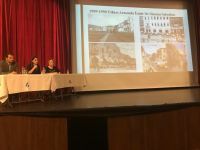 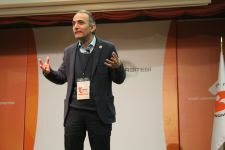 Throughout the event, Murat Keleş talked about the effects of g-forces, the speed of sound via examples from his own life; he told how the idea of establishing SOLOTURK started, and unusual events he experienced. 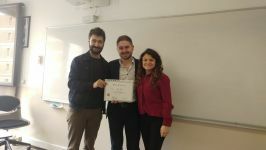 One of the students, who answered the questions asked by Murat Keleş correctly, was gifted a SOLOTURK cap. 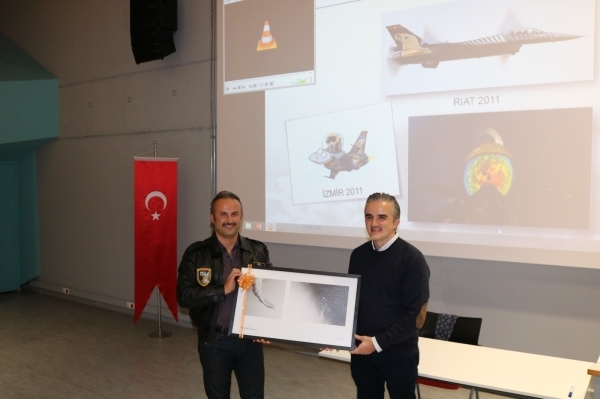 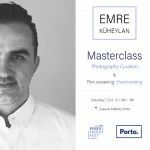 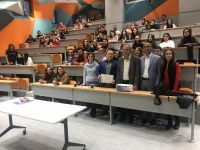 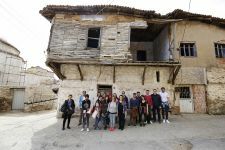 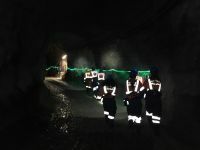 In addition, Murat Keleş was presented a picture of him during one of his demo flights taken by Lecturer Emre Küheylan from IUE Vocational School Radio and Television Programming program. At the end of the event, the lecturer at Vocational School Civil Aviation Programs Ramiz Cepkenli, who was also Murat Keleş's teacher at Turkish Air Force, introduced the certificate of participation to Murat Keleş.